I guess I was a little late in catching up with best selling author Erik Larson. 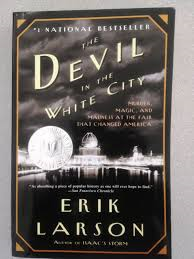 Thus when I was looking over bargain books at our local Goodwill store I latched onto Devil In The White City. A true story based on events that took place in Chicago during the famous worlds fair of 1893. Subtitled Murder, Magic, and Madness at the Fair That Changed America. For my taste it would have been two books. 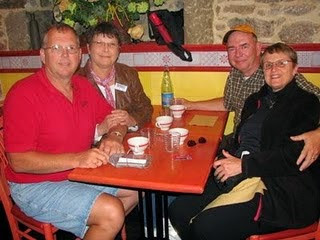 The magic was the absolutely fascinating story of the planning, building and operation of the fair itself. What a revelation of an new world at its outset! That is the birth of modern America. 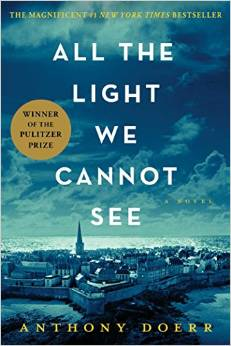 In All The Light We Cannot see Pulitzer Prize winner Anthony Doerr has written a wonderful story about a blind French girl and a German boy whose paths collide in occupied France as both try to survive the devastation of World War II. Marie-Laure lives with her father in Paris near the Museum of Natural History, where he works as a lockmaster. When she is six, Marie-Laure goes blind and her father builds a perfect miniature of their neighborhood so she can memorize it by touch and navigate her way home. 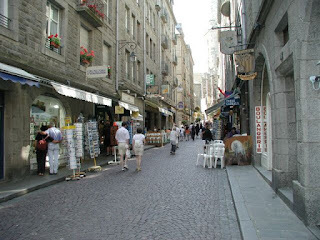 When she is twelve, the Nazis occupy Paris and father and daughter flee to the walled citadel of Saint-Malo. With them they carry what might be the museum’s most valuable and dangerous jewel. In a mining town in Germany, the orphan Werner grows up with his younger sister, enchanted by a crude radio they find. Werner becomes an expert at building and fixing these crucial new instruments, a talent that wins him a place at a brutal academy for Hitler Youth, then a special assignment to track the resistance. More and more aware of the human cost of his intelligence, Werner travels through the heart of the war and, finally, into Saint-Malo, where his story and Marie-Laure’s converge. Gorgeously written and in accurate detail Doerr connects the lives of the two young people showing against all odds how people can be good to one another in horrible circumstances. The author skillfully creates a web of ties between the two protagonists before they even have met. St. Malo is a beautiful setting for the story. Occupied by German forces, under siege by Allied bombers, it heads inexorably to a stunning climax. The book is in short but lyrical chapters which make it readily easy to read and connect the various parts.